Mumbai: Launching a fresh salvo at the Central government against the backdrop of the Jammu and Kashmir violence, the Shiv Sena on Monday asked whether "India really has a Defence Minister?". Without naming Defence Minister Nirmala Sitharaman, the ruling Bharatiya Janata Party (BJP) ally attacked her as "a very weak and ineffective, faceless personality, who is at the helm, which is detrimental to the country". "Our three services chiefs have always assured that the country's armed forces are forever prepared to tackle any challenges. We have full faith in the capabilities of our armed forces - but the leadership is inept," the Sena said in editorials in the party mouthpieces, Saamana and Dopahar Ka Saamana. Otherwise, it pointed out, the terrorists would not have dared to kill the brave Indian Army soldier, Aurangzeb Mohammed Hanif, so brutally during the Holy month of Ramadan.Aurangzeb, a soldier of 4 J&K Light Infantry, was posted in Shopian and was proceeding to celebrate Eid-ul-Fitr with his family in Rajouri on Thursday. However, en route, he was kidnapped by terrorists who tortured him and shot him dead at Gussu village in Pulwama district. The Sena said it had always criticized Mughal Emperor Aurangzeb who came to destroy India's Swaraj, "but we adore this (soldier) Aurangzeb of Jammu & Kashmir who has been martyred". "Aurangzeb (Hanif)'s bravery and sacrifice will inspire the entire country for long... The government must honour the martyrdom of this nationalist," the Sena urged. Aurangzeb's crime was he fought and destroyed the terrorists who propounded the cause of Pakistan in J&K, especially Hizbul Mujahiddeen commander Sameer Tiger, who spread mayhem in the valley with guns and bombs.The martyred Aurangzeb was a front-ranking member of the commando team which had eliminated Sameer Tiger and he had carried out other major anti-terror operations in the areas. "He was a fearless anti-terror fighter and a true patriot... That's why he caught the attention of the terrorists who kidnapped him when he was going for Eid holidays and later killed him," the Sena said.Before killing him the terrorists shot a video in which Aurangzeb was interrogated and tortured, "but never did he look frustrated staring at death in the face, was not terrified and did not surrender". "He became a martyr for the cause of the country in the month of Ramadan, which became holier with his sacrifice," the edits said.Terming the violence in the valley in the name of Islam as "shocking", the Sena said that many other Muslim soldiers like Aurangzeb are dying for the country. 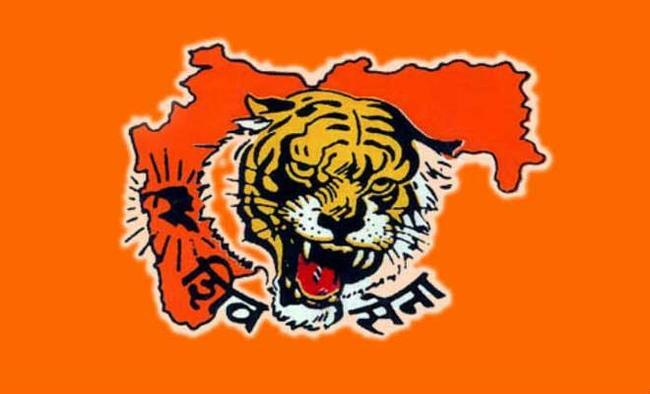 "Not only the Muslims, but the Hindus shall be forever proud of them", as the country remains united because of their martyrdom, said the Sena. It called upon "those who seek votes in the name of Emperor Aurangzeb in Jammu and Kashmir and Maharashtra, to bow their heads in honour of the martyred soldier Aurangzeb, and offer a special 'namaaz' in his memory". "We submit to his martyrdom, offer flowers on his grave and cry... Such Aurangzebs must be born in every Muslim home in India. Aurangzeb's martyrdom is immortal..." the Sena concluded.